What Is an ICO in a Nutshell? Granted their popularity, more and more people are wondering what an ICO is. Essentially, it represents a crowdfunding method, done via digital currencies. During an ICO, a start-up often sells ICO coins—or tokenized cryptocurrency—to investors and market speculators in exchange for other coins such as Bitcoin and Ethereum, or fiat currency. Have you wondered what is a crowdsale ICO? This is it. In general, it includes tokens that serve as functional units of currency, which investors can then utilize to purchase services from the respective startup, or they can exchange them for a profit. The origin of the ICO, whose acronym that stands for Initial Coin Offerings, can be linked to the history of Bitcoin and Ethereum. Not too long ago, a large community of developers, entrepreneurs, and investors began seeing potential in the technical applications of digital currency. While Bitcoin continues to serve as the world’s most popular cryptocurrency, it isn’t the most technically advanced. This spot is occupied by Ethereum, thanks to its built-in smart contract programming language, Solidity. So what does this have to do with our question, what is an ICO? Well, Ethereum then decided to create a new coin standard, known as the ERC20 token. Most of the times, the independent developers are the one that create coins, and they live on the Ethereum blockchain, meaning start-ups don’t have to create their very own blockchain network. As soon as the standard was created, some of the first ICOs appeared on the market. In fact, the pre-sale of this token, or the Ethereum ICO, represented the world’s first ERC20 initial coin offering, raising 3,700 BTC in 12 hours. From this point onwards, companies throughout the world begun holding ICOs for their projects as a way to avoid the securities laws associated with Initial Public Offerings, where companies need to give up equity in exchange for investments. With ICOs, a company only needs to give tokens in exchange for cryptocurrency investments, thus avoiding the standard laws. It offered companies another method of raising funds that would provide the entire cryptocurrency market with a massive growth in size and popularity. At this time, new ICOs continue to be held every day. Mastercoin startup held the first token sale in the form of an ICO in July 2013. However, the market boomed four years later, in 2017. A report indicates that in October 2017, over $2.3 billion had been raised via ICOs, and in November 2017, more than 50 ICOs were held every month. Now, that you have a general understanding of what ICOs are, and what their history is, it’s time to explore the subject in-depth. Tokens represent the backbone of ICOs and are given to investors in exchange for their cryptocurrencies. From a technical standpoint, these tokens seem similar to certain cryptocurrencies. However, there are a few differences between an ICO and, say, Bitcoin. At this moment in time, we can divide tokens into two categories: usage tokens and work tokens. Usage tokens are most similar to cryptocurrencies because they act as an ecosystem’s native currency. Investors can exchange these tokens for other tokens, coins, and fiat currencies. Work tokens, on the other hand, aren’t designed to act as currency. Rather, they grant users rights within a certain ecosystem. For instance, members of an organization can cast votes via work tokens. They can also keep a record of their equity percentage in a company. Experts often refer to work tokens as utility tokens. For the next stage of our “ICO Wiki,” let’s go back to Ethereum and the ERC20 standard. While respecting the standard isn’t mandatory, we recommend it, as doing so ensures that a particular token can interact with most wallets, smart contracts, and exchanges. The standard is made up of six functions, which carry out several activities once executed. These include accessing the total token supply, accessing the account balance, transferring the token from one wallet/exchange/account to another, and using the token as a monetary asset. Holding an ICO is quite easy, but holding a successful one requires a considerable amount of work. To kick things off, developers will publicly announce their project intention in order to generate hype and interest. The next step requires creating a white paper. These documents are essential to the success of an ICO. Based on this, white papers are documents in which the development team presents everything the public has to know about the project in question, including background on the issues solved by the project, product description, project organization, token ecosystem, blockchain architecture, use cases, challenges, token sale, team, advisors, ICO calendar, and more. Once the white paper is complete, developers will publish it via various channels in the blockchain community in an attempt to gain backing and credibility. The next step entails token creation. Depending on the particularities of the project, developers will have to choose the number of tokens they want to sell, as well as their price and utility. Further on, once the tokens are created, the company will need to decide the time when they’ll hold their ICO coin sale. Then, project managers will choose which platforms to advertise their ICOs on. Depending on how effective the marketing effort is and what the project entails, the final step is holding the ICO to help raise money for the project. If a sufficient amount of capital is raised, the Initial Coin Offering will be considered successful or completed. From that moment onwards, developers will need to start working on making the project functional. Oftentimes, this takes several months. As the ICO market is fairly unregulated, numerous ICOs are built to be scams, whereas others fail to keep their promises. With this in mind, having a strategy for choosing the right ICOs to invest in is essential, as it will lower your risk while increasing potential profit. 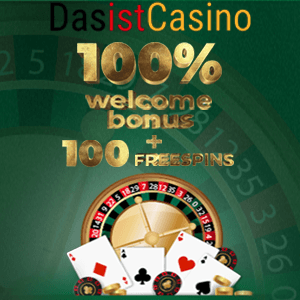 This is also relevant as there are numerous types of coin offerings, such as a gambling ICO, currency ICO, or utility ICO. White papers represent the start-up’s pitch to investors, so make sure to read it well! As mentioned above, a quality white paper must include answers to all project-related questions you have. It also has to offer enough transparency into how the third party will use the raised funds, as well as how will they govern a project. Don’t believe everything you read though! If a fact seems fishy, look it up for yourself. The Initial Coin Offering team can either make or break the start-up. Therefore, it’s important for investors to carry out a background check into all known team members. Make sure team members have expertise in their niche and that they’ve completed other successful projects in the past. If a Google search on the Head of Marketing doesn’t turn up any results, it’s best to keep away from that particular ICO. Reading what other investors think is a great way to gain more insight into the market and understand how to make smarter investment decisions. Don’t be afraid to ask questions! Chances are that startups with poorly designed web pages don’t have what it takes to carry out a successful ICO. After all, if they can’t invest in their image, why would you invest in their idea? Apart from good design and functionality, make sure to take a look at how the team treats project transparency. As we’re answering the question, what is an ICO? it’s vital to investigate the legal side of things. In the beginning, the ICO market was widely unregulated. However, governments throughout the world have kick-started a thorough regulatory process meant to make ICOs safer for investors and profitable for the state via taxes. To put things better into perspective, we will cover the legality of ICOs in several countries. All the 28 member states allow ICOs, yet they must adhere to the Anti-Money Laundering and Know Your Customer (AML/KYC) policies. In 2017, the European Securities and Market Authority declared that ICOs are high-risk, and they need to fulfill several regulatory requirements. However, citizens are free to invest. Here, the Securities and Exchange Commission determined that an Initial Coin Offering is a securities offering; therefore they have to abide by securities regulations, but citizens may invest. The Russian government allows ICOs, yet imposes heavy regulations upon traders. The Kremlin government has decided to apply securities laws to ICOs, whereas holders need to register for a license. Both project managers and individual investors pay the tax. Following an order issued by the People’s Bank of China, ICOs are illegal in the country. Individuals can still hold cryptocurrencies and altcoins, yet cryptocurrency ICOs are forbidden. As you can see, the legal status of an ICO varies from country to country. Because of this, our best tip to you would be to consult your national legislation to individually determine whether investing or holding an ICO is subject to any applicable laws. Anyone can hold an ICO. This means that if you have a smart idea and think that other people will enjoy it, you can hold an ICO to raise the required capital, no strings attached. Think of it as a crowdfunding project. Indeed, you can find a wide array of online businesses that use this mode of investment, like Bitcoin casinos, educational websites, online journals, etc. Project developers no longer need to rely on traditional investors and banks for financing. If your Initial Coin Offering is a success, once launched, your project will instantly attain a customer base and a community. Additionally, communities offer products increased credibility, hence leading to more opportunities and higher profits. Tokens of successful projects have great value potential. For instance, during its ICO, one ether was sold for 40 cents—its value is now $233, but it had an all-time high of over $1,000. Some choose to compare ICOs to Bitcoin gambling, yet there are numerous differences between the two. This gives project managers more time to focus on building their projects, hence leading to higher-quality products in the long-run. By holding an ICO token portfolio an investor gains access to high-profit potential, as tokens have often doubled in size within a matter of hours. 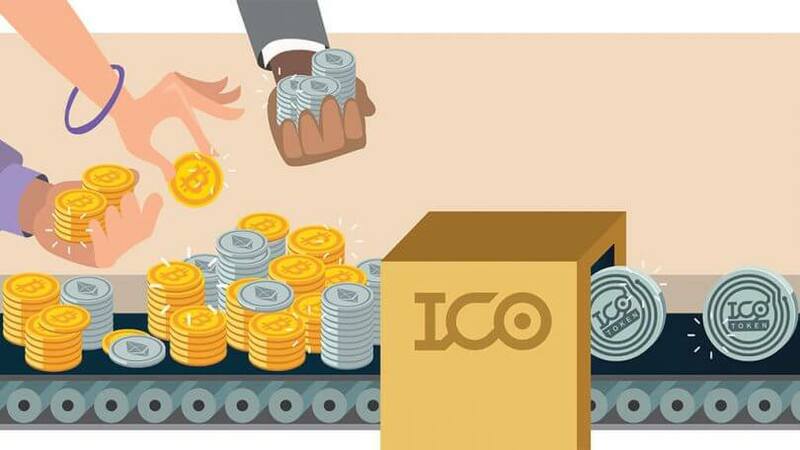 It’s fairly easy and profitable to hold an ICO, meaning the ICO niche has attracted the attention of numerous scammers who come up with exciting projects yet are only interested in the money. Regulatory efforts are reducing the number of scams, yet it’s always important to be on the lookout. ICOs are mostly speculative. There is no sure-fire way to determine whether a token will increase in value or not. This leads to higher risks when compared to other traditional investment methods. Governments can either improve or destroy the ICO market. While several countries have chosen to be supportive, others have chosen to ban them indefinitely—as we’ve seen in China’s approach to the crypto ICO. Hdac, an IoT contracts and payment platform, raising $258 million. In terms of the concept of the ICO, we’ve explained how they continue to hold great potential for several markets, including cryptocurrencies, the blockchain, investing, financing, and business. Currently, there are numerous ongoing efforts meant to stop the spreading of scam ICOs, alongside keeping investors safe. Regardless, the market is still fairly risky, but that isn’t an issue since investing, in general, is a risky affair. Now that we’ve discussed what is an ICO, let’s think about what they’ll become. In the future, it is likely that ICOs will continue to encourage and promote technological innovation. Given the regulatory efforts, the market should become more stable in regions that are crypto-friendly, thus encouraging further growth. Now that you know about ICOs, thanks to our detailed ICO definition, we wish you a safe investment journey!